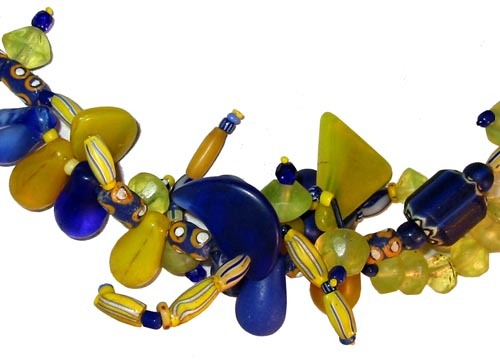 “Out of Afrika” Necklace: A Serious Trade Bead Collector’s Dream in This Beaded Necklace. Handmade Combining a Variety of Vintage Czech Beads (Bohemia), and Venetian Beads: Good Eye Beads, Melon Beads, Bicones, Wedding Beads, and a Sprinkling of Other Old and Newer Glass Beads…all of Which, In the Past, Were Traded Mainly to West Africa for Gold, Palm Oil, Ivory and Slaves. The Prize Beads are the Rosetta Beads. At Center, an Antique Star Rosetta Dating Back as Far as the Year 1500, and Probably Made in Murano, Italy. Flanking Rosettas are Chevrons; One a 5-Layer | One a 6-Layer. These are Usually Referred to as Venetian Beads. 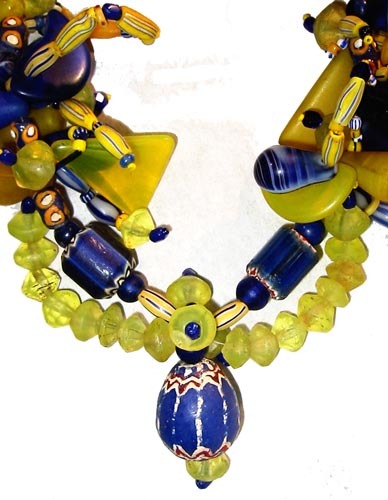 Rosettas Started the Renaissance of Glass Bead Making in Europe, and are Quite Valued. A Big, Chunky Necklace for a Woman of Substance. 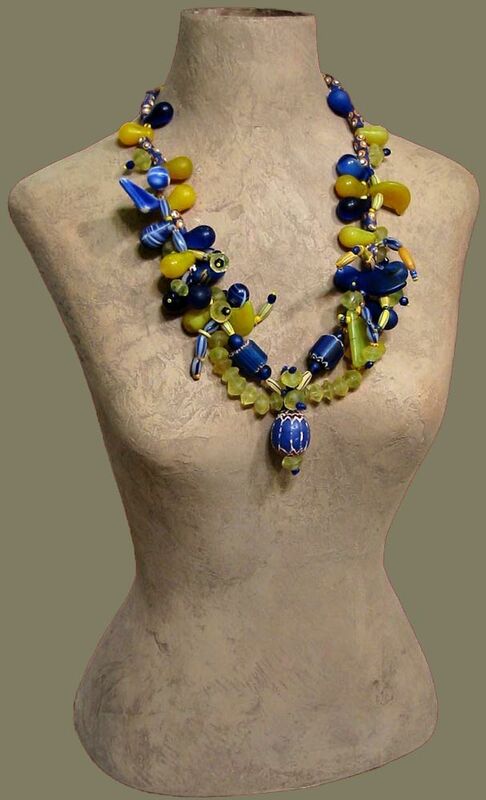 This Fashion Accessories Necklace is Adornment, as well as A Traveling Show! Unique Jewelry, Handmade by Carol Tate in the Artisanaworks Studio, USA.